Step 3 - Help A Few Others And Let Us Reward You. 70% of all advertising revenue is returned to members via our Rewards Payment Plan. As a member of Your Healthy Planet you automatically become a stakeholder and an affiliate with a unique opportunity to connect individuals,businesses and not for profit groups all around the world. All members of Your Healthy Planet are doing their part to create a world that works for everyone and you will share in the 'rewards' produced by our combined efforts. Every member can EARN a monthly extra income simply by inviting other individuals, businesses, sporting or social clubs and organisations to CONNECT with others who are also wanting to create a world that works for everyone! Because we have abundance now on earth it MUST WORK FOR EVERYONE, or it works for no one. Invite everyone you can to join Your Healthy Planet, and to promote their product or service on our Ethical Marketplace. Wellness and Sustainable Living ... Are the fastest growth industries in the developed world, growing at an amazing 500% this decade. Individuals, businesses and organizations are taking action to be responsible for their good health and the survivability of future generations. In the process they are creating the next Trillion Dollar Industries. Growth of the Internet ... the percentage of retail sales occurring online in the US is expected to more than double again over the decade to 2020. Now over two billion people access the internet worldwide and it has grown from 300 million users in 2000. Access to the internet will more than double by 2020. The internet is providing access to information, products and services locally and globally. Our FOCUS is to make more of these sales healthy, green and sustainable. Direct Sales & Co-operative Marketing ... Now recognized as the marketing of the twenty-first century and providing opportunities for people from all walks of life, and all countries. Direct sales, MLM, referral or co-operative marketing has, in the past held a stigma from the days of 'pyramid selling'. The wealthy have been participating in co-operative and strategic alliances for decades or even centuries ... and now it's your turn. Now, you can EARN an 'extra' passive income of $5,000 to $10,000 a month or more around your existing job or business by helping us take our message of health, wellness and sustainable living around the world person by person, business by business and country by country. START Today ... Click here NOW to join us! Invest just $4.70 and advertise your business, club or organization with a Standard, Premium or Gold advertising subscription and then complete the following 3 Steps. But first let's see how powerful co-operative marketing and our rewards plan can be! At Your Healthy Planet.com you can create a part-time or full-time extra passive income, simply by referring other healthy, green or sustainable individuals, businesses, clubs and organizations onto the directory and helping to increase the value of our Ethical Marketplace. Watch this short 4minute VIDEO - "How To EARN Rewards Income On Your Healthy Planet.com"
Make sure you comply with our Code of Ethics when inviting friends or colleagues, businesses, organizations and clubs to join us, and that way help maintain our integrity. Also only invite those you know and trust as providing a valuable product or service. Here are a few suggestions ... invite your local chiropractor, health food store owner, local restaurants, plumber, personal trainer, solar energy company or dance studio, sporting goods store, your motor mechanic or accountant, or any other business or organization to subscribe to Your Healthy Planet if you consider they improve or enhance our wellness and survivability. I just had a call with Toyota Australia regarding their wonderful Prius hybrid, a leader in innovative and sustainable motoring; and just read an article about the new Volkswagon BlueMotion that evidently will travel up to 1,400 kms on one tank of fuel. And the success of Tesla Motors is now legendary with the all electric roadster, Model S, Model X and now the biggest crowd funding in history with the Model 3. Motoring is becoming greener and cleaner and could soon be emissions free. If you are new to the internet please read a little about what an affiliate program is and make use of some of the "tools" we provide to make it easy for you to let others know. We are now well and truly entering the sharing economy, and just like you don't need to own a car to share in the Uber experience, you also don't need to own a business to share in Your Healthy Planet. One way to understand an affiliate program is to picture a large tree has just fallen and is blocking the path to where you're headed. The tree is so big you can't shift it on your own, no one can. In our case the obstacle or tree is global warming, pollution and environmental degradation, loss of animal and plant species, widespread ill-health, premature death and sustained poverty and hunger. Now, IMAGINE other people stop and see the 'fallen tree', and some of them are going in your direction. IMAGINE they start to work with you to find a way to move the tree and allow everyone to achieve their goals more easily. That's how an affiliate program can work. Here's a SUMMARY of commonly asked questions about OUR Affiliate Program. How many levels does this affiliate program extend to? Some affiliate programs are one or two levels deep. Our affiliate program pays you a referral fees 3 levels deep, plus royalty fees for a further 6 levels, ie it goes 9 levels deep altogether. This means you will receive payment for each business, organization or club (subscriber) who joins up below you for up to 9 levels. Do you know how powerful that can be? After we achieve 30,000 healthy subscribers (predicted to take less than two years) our affiliate plan may be redeveloped to allow more flexibility and even greater earning capacity. Payments are made monthly, via PayPal. on or after the 15th of the following month. You must always ensure that you provide the correct contact details and email address for your PayPal account. We are not responsible if payments do not get to you due to an incorrect details left by you. What 'Reward Income' benefit does each level provide? Once our full affiliate rewards program commences you will receive (in $US) the following amounts for ADVERTISING Members who join below you. Refer three (3) and your advertising is FREE! Level 1: $15.67 referral fee ... to ALL Members. Level 2: $ 5.33 sub-referral fee to ALL Members. Level 3: $ 3.00 sub-sub- referral fee to ALL Members. Note: First three (3) levels referral fee apply to ALL Members. Over 70% of all advertising subscriptions flow back to our Members, the healthy, green and sustainable individuals, businesses, clubs and organizations that are helping to create Your Healthy Planet.com's Ethical Marketplace. There is no minimum balance before we send out your referral funds. You will be able to view your balance at any time by logging into your Member's area. Payments are made monthly on 15th day of the following month. What happens if the person I refer doesn't join us till the next day? Will I still get credited for them joining? You will still get credit for them. When you refer a potential subscriber, a cookie or other form of 'remembering their visit' will be stored on their computer. As long as they join us within 5 days of clicking on your link, you will be credited the appropriate amount. You can start earning immediately, although until we reach our 3650 Founding Advertising members a 'Special' Introductory Reward Payment system of $5.67, $2, $1 and then $0.50 royalty payments will apply. You will receive ongoing Reward Payment benefits as long as those advertising members remain as financial advertising subscribers and your account is in good standing. You can EARN a residual income of up to US$50,000 per month or more. It is important though that you understand this is not a get rich quick scheme. Our affiliate plan is designed to allow money to flow back into healthy, green and sustainable businesses, clubs and organizations and to help them grow and flourish more quickly. We encourage you to re-invest some of your extra income in products and services from other members. In doing so we know that billions of dollars will be saved in unnecessary ill-health, environmental damage and social upset. We encourage you to participate fully and to share this prosperity with others. You will also soon be able to, and encouraged to tithe 10%, 20% or up to 100% of your royalty income to one or more of the approved healthy, green and/or sustainable Non Profit Clubs and Organizations. Stay tuned for more on this exciting feature. Take a little time to visit our Affiliate Tools page and download a banner or banners to use on your website to attract other healthy businesses and organizations to Your Healthy Planet. Text links are also provided. Be sure to check that the link is working once you have uploaded it or embedded it in your newsletter. Check back often to view updates. The Affiliate Program is NOT a get rich quick scheme and you are certainly not guaranteed to earn any referral payments at all. Referral payments are earned based on individual effort and are a healthy opportunity to create an additional income stream for you or your business, your club, group or organization. Our sub-referral and royalty payment system reward the individuals, businesses, clubs and organizations that duplicate what they have done. They will receive a further 12% for each new healthy business that is subsequently introduced on their second tier, and 5% on their third tier. Invest the extra income into marketing your business, increasing your profits, reducing prices or managing the costs of running your club or organization. The choice is yours. Everyone wins, and you help take the message of health and well-being around the globe ... creating a healthy planet and a world that works for everyone. STEP 3. INVITE OTHERS YOU KNOW TO JOIN US! ... this may be your most important step ever. We won't create world abundance without your help ... no one can do that on their own. But together we can. Invite as many other healthy businesses, organizations and clubs you know to join us. That way, one person at a time, one business, club or organization at a time we will create ABUNDANCE globally by working together. If you believe this is possible then let's make it happen. "We are all worthy people. We are all equal and today is a fresh start for all of us. There is nothing we cannot achieve." Mark Hughes, Founder Herbalife International. Everyone deserves the chance to live life to its fullest irrespective of the circumstances they were born into or grew up with. Your Healthy Planet is creating a Sustainable Children's Foundation designed to increase the opportunity for young people to succeed and live a life of abundance. 100% of all profits go to the Sustainable Children's Fund. The fund is being established as a not for profit foundation to support and educate young people and empower them through a variety of existing and proposed programs and businesses. The focus of the Sustainable Children's Foundation is to empower young people and their families to excel and succeed in their chosen field of endeavor. 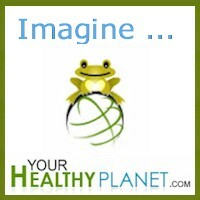 If you have joined Your Healthy Planet.com we thank you for doing business with us. If you haven't decided to join us at this time thank you for your time and thank you for considering doing business with Your Healthy Planet. Please feel free to come back and see us again soon. Please read the agreement document below before registering as a member. Your registration in Your Healthy Planet as a FREE Member is deemed to be acceptance of this agreement. Term of the Agreements: The term of this Agreement will begin upon our acceptance of your free membership and will end when terminated by either party. Either you or we may terminate this Agreement at any time, with or without cause, by giving the other party written notice of termination. You are only eligible to earn referral fees on sales occurring during the term. Limitation of Liability: We will not be liable for indirect, special or consequential damages, or any loss of revenue, profits or data, arising in connection with this Agreement or the Program, even if we have been advised of the possibility of such damages. Further, our aggregate liability arising with respect to this Agreement and the Stakeholder Program will not exceed the total referral fees paid or payable to you under this Agreement. Referral Commissions and Payments Procedures: The amount of referral commissions due to Members (Stakeholders) will be as follows: For a sale, which we make as a result of a direct referral by an affiliate, that affiliate will receive a commission fee of $15.66US from the normal price of the advertising subscription. This is known as a first-tier referral commission. For such a sale as described in the previous paragraph, if the affiliate who made the direct referral is a sub-affiliate of another affiliate, the second affiliate will be eligible for a commission fee of $5.33US from the selling price of the subscription sold. If the sub-affiliate is also a sub-affiliate of another affiliate, the third affiliate will also be eligible for a commission fee of $3.00US from the selling price of the subscription sold. This is known as a third-tier referral commission. A commission will only be credited to an affiliate after the customer has made full payment to us. If a customer later requests a refund or a charge-back is issued by the credit card holder whose credit card was used to pay for that customer's account, any commissions that were credited will be deducted from the next monthly commission payment. If there is no next monthly payment, the affiliate will be billed and hereby agrees to be bound by law to reimburse us in full for any such commissions. Payments will be issued via PayPal only (AlertPay is also to be added), payable to the affiliate's PayPal account in the name the affiliate submits in his or her online member registration. We reserve the right to withhold any payments until you have furnished to us a properly executed W-9 form as prescribed by the Internal Revenue Service (applicable to US residents only). Qualifying for Royalty Payments : Once an Advertising subscriber (paid advertising member) has successfully personally referred three other advertisers (subscribers) to Your Healthy Planet.com in one calendar month he or she is eligible to receive royalty rewards payments for all future sales made on his or her fourth, fifth, sixth, seventh, eighth and ninth tiers. The amount of royalty payment due to affiliates may vary but the normal rate will be as follows: An amount of $1.50US for each completed sale in accordance with the payment terms set out in Clause 5 above. Tracking of Sales: We (Your Healthy Planet.com or its representative) are solely responsible for tracking sales using special software that communicates with the specially encoded URLs assigned to affiliates. We will endeavor to do our best to ensure accurate tracking of referrals made by affiliates. Affiliates will themselves be solely responsible for ensuring that these special URLs are formatted properly, a necessary prerequisite to accurate tracking of referral sales. Notwithstanding the above statement of responsibility by us to track sales, affiliates hereby acknowledge and accept that the tracking system employed by us is not 100% fail-safe and that there may on occasion be instances of referral sales made that are not credited to an affiliate for any number of possible reasons, some of which might be: Failure by the affiliate to use the proper format of the specially assigned URL in promotions, web-page links, banner ads, and so on; deliberate or accidental actions by customers to circumvent an affiliate's special URL so that our software is unable to accurately track that sale; bugs, glitches or crashes of the tracking software that render it unable to accurately track sales for a period of time; acts of a nature that cause irretrievable data loss on the computers and back-up disk media that store the commission information. As such, affiliates will not hold us liable to compensate for any claimed commissions that were not tracked and recorded by the tracking software. We will pay referral fees on any future sales after the customer has re-entered our site through the use of a cookie placed on the end user computer. If, through no fault of ours, the cookie is removed or not allowed by the end user, that customer's purchase may be tracked only if customer enters our site directly through a link from your site. Relationship of Parties: You and we are independent stakeholders, and nothing in this Agreement will create any partnership, joint venture, agency, franchise, sales representative, or employment relationship between the parties. You will have no authority to make or accept any offers or representations on our behalf. You will not make any statement, whether on your site or otherwise, that reasonably would contradict anything in this Section. Miscellaneous: This Agreement will be governed by the laws of Australia and the State of Victoria, without reference to rules governing choice of laws. Any action relating to this Agreement must be brought in the federal or state courts located in Melbourne, Victoria, and you irrevocably consent to the jurisdiction of such courts. You may not assign this Agreement, by operation of law or otherwise, without our prior written consent. Subject to that restriction, this Agreement will be binding on, inure to the benefit of and be enforceable against the parties and their respective successors and assigns. Our failure to enforce your strict performance of any provision of this Agreement will not constitute a waiver of our right to subsequently enforce such provision or any other provision of this Agreement. The following Email promotion and Banners are provided to assist you introduce other healthy businesses and organizations to Your Healthy Planet.com. Introduce two or three other businesses so that your own advertising is almost FREE, or invite more and develop a small or large passive income stream. The choice is yours. Here is an email you can send to people and businesses, clubs and organizations that you know and that you feel provide an excellent service, good value to their clients and / or are involved in an aspect of the health and sustainable living industries. This is a very broad marketplace, and we encourage all our advertisers to FOCUS on the healthy, green aspects of their product or service and promote these. Copy and paste this email and send it to your friends and business associates. Every NEW member can trial our advertising on the Ethical Marketplace for only $4.70 for their first 30 days. This is (your name) here from (mention your business or organization name here if you want to). I'm sending this quick email to introduce you to a NEW member's club and 'co-operative' marketplace that I'm now advertising on. It is different from any other advertising I've seen because they want to pay me/us for helping build the biggest Ethical Marketplace in the world. All I had to do was join and advertise the healthy green and sustainable aspects of what we do, and invite others to do the same. The philosophy is "where the focus goes, the energy flows" and of course the larger the Ethical Marketplace becomes the more value it is to other members and the public. So you will be rewarded! A total of 70% of all advertising revenue is returned back to the members who are working together and creating a healthy, green and sustainable future for everyone. Over time you can develop an extra income stream of $2,500 a month, $5,000 a month and even up to $50,000 a month (or more) so it's worth being part of. It is called Your Healthy Planet.com and the member's club is FREE to join, with real value and additional services being added as they grow. Start today. Register with Your Healthy Planet.com and then start advertising like I/we have. Your first 30 days advertising is only $4.70 which is used to planet a tree on your behalf. After that it's only $47.00 a month for a Standard advertising subscription, unless you get in as a "Founding Advertiser" at the Special rate of just $17.00 a month ... . I'm inviting my friends and associates who I feel would be interested, and you should do the same to four or five businesses, groups, sporting clubs or social clubs that you know of and are happy referring your family, friends or members to. Just invite people you know, or businesses that have a great product or service. P.S. 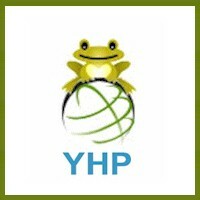 Your Healthy Planet.com is focused on promoting the healthy, green and sustainable aspects of businesses and includes non profit groups, plus sporting and social clubs. P.P.S I forgot to mention that all the profits from advertising subscriptions go into the Sustainable Children's Fund being set up to build and manage holistic education centers, and support other healthy, aligned organizations. To download the BANNERS, simply right click with the mouse on the banner of your choice, save it to your hard drive, then paste it to your web page or (email newsletter) in a suitable position and make sure you incorporate your affiliate link. This link is found in your member's area when you login. That way we are able to credit you with referral fees when a business subscribes. Support a healthy club and organizations and help them to achieve their goals. If you know of any sporting club, environmental group or wellness group you can introduce them to Your Healthy Planet.com and spend a little time to help them build a healthy passive income. The purpose of this code is to set out the principles and procedures which businesses promoting healthy, green and/or sustainable products and services on Your Healthy Planet.com will follow in complying with the spirit and intention of Our Vision, to create a world of healthy, happy and vital people. A world that flourishes and works for everyone. This code applies to all commercial and non-commercial businesses, partners and service providers regardless of the type of service or the country the service is provided in. 3.3 makes false or mis-leading statements about the products or services that they are advertising.